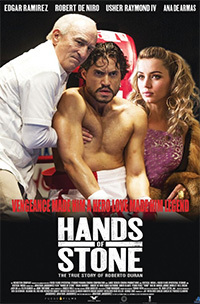 At age 72, legendary trainer Ray Arcel (Robert De Niro) comes out of retirement to coach world-class Panamanian boxer Roberto Durán (Édgar Ramírez) who is married to Felicidad Iglesias (Ana de Armas). Arcel becomes a mentor to the ferocious fighter, convincing him that winning ultimately comes down to strategy. After scoring knockout after knockout, Duran prepares for a bout against Sugar Ray Leonard, the undefeated lightweight champion. Five months later, on Nov. 25, 1980, the two titans meet for an infamous rematch that makes boxing history. 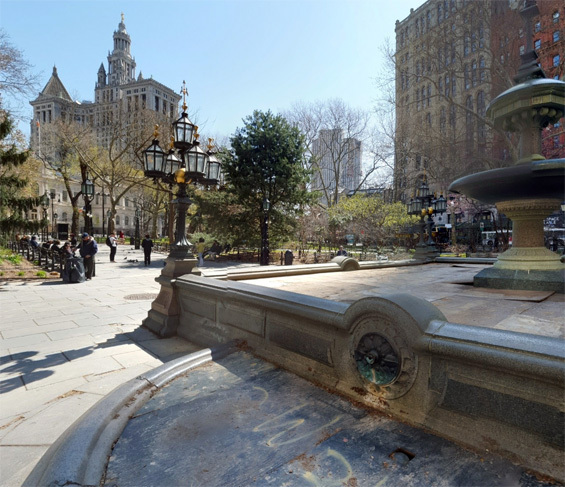 Jacob Wrey Mould Fountain, City Hall Park, Manhattan.